It's obvious that there is "something" going on within the Florida GOP. There is an undercurrent of conservative thirst to elect a true conservative to the US Senate in 2010. Regardless of the fundraising prowess of current Governor Charlie Crist and the support he has received from the elites of the party, Crist has not shown the ability to reign in the conservative base. This becomes overwhelmingly obvious when you look at the results the straw polls being held throughout the state. Crist has not prevailed in a single one and is being annihilated by Former House Speaker Marco Rubio. Marco Rubio is running a grassroots campaign based on prinicples, values, and true conservative beliefs which reflect the hunger of those seeking fiscal responsibility and overall limited government. Rubio may not be winning the fundraising battle (Yet) but he has tapped in to the very heart those seeking new representation in Washington. A US senate seat. Here is a list of the county straw polls that have been held so far that illustrate the extraordinary margins received by Marco Rubio against Crist. It is hard to ignore and may be giving Crist a reason to be worried. 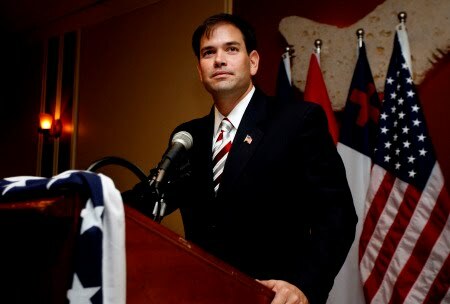 Florida Federation of College Republicans: Rubio 19, Crist 6. Without a doubt. 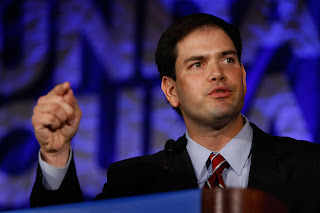 Rubio has a chance to win in 2010.